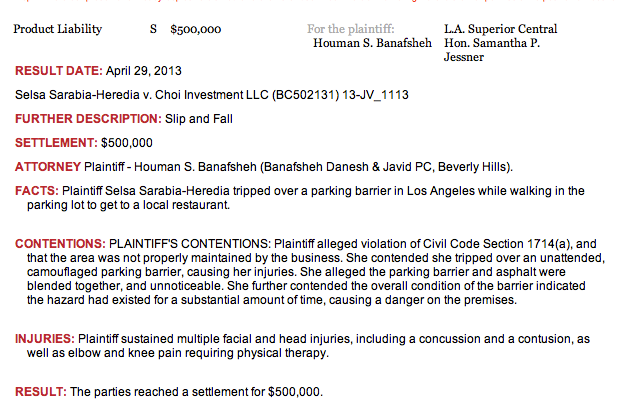 In the case referenced above, the report (follow this link to read the report) indicates that the injured plaintiff alleged that the parking barrier was “camouflaged”, that the barrier and the asphalt parking lot surface blended together and therefore the barrier was not noticeable. She also alleged that the overall condition of the barrier indicated that the hazard had existed for a substantial amount of time, causing a danger on the premises. I suspect that these same conditions exist at many California community associations. As I was preparing this blog post and looking for photographs of concrete parking barriers, one of the first I came upon was the one I used (see above). I’m not sure if it’s the nature of the lighting, but as you can see, the concrete barriers are the same or similar color as the parking lot surface. So how does a community association avoid liability? 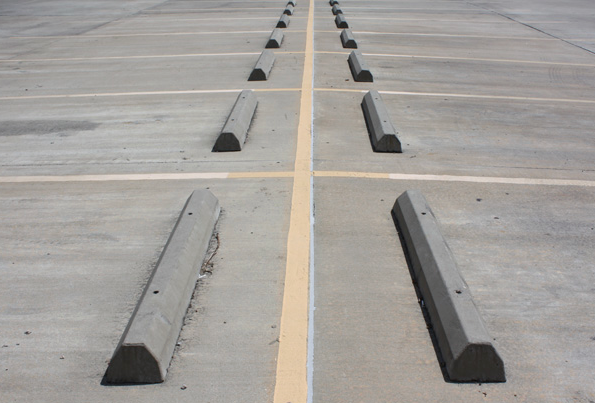 The board and/or management should inspect the parking areas to determine if the parking barriers are in good condition, and determine if, as a result of age, they have gotten darker such that they blend in more with the asphalt that may have gotten lighter. Perhaps power washing the parking lot and the concrete parking barriers will bring back some of the original color so that there is a distinct differentiation between the barrier and the asphalt parking lot surface. I have been advised by some clients that when faced with these kinds of claims, they have painted yellow stripes on their parking barriers or painted the top yellow so that it can be easily distinguished from the asphalt parking service. Consider utilizing a reflective paint so that at night the barrier will be more noticeable. Taking steps like these can help eliminate lawsuits, potential liability, and will help ensure that the association can find insurance coverage at a reasonable cost. Be careful out there.